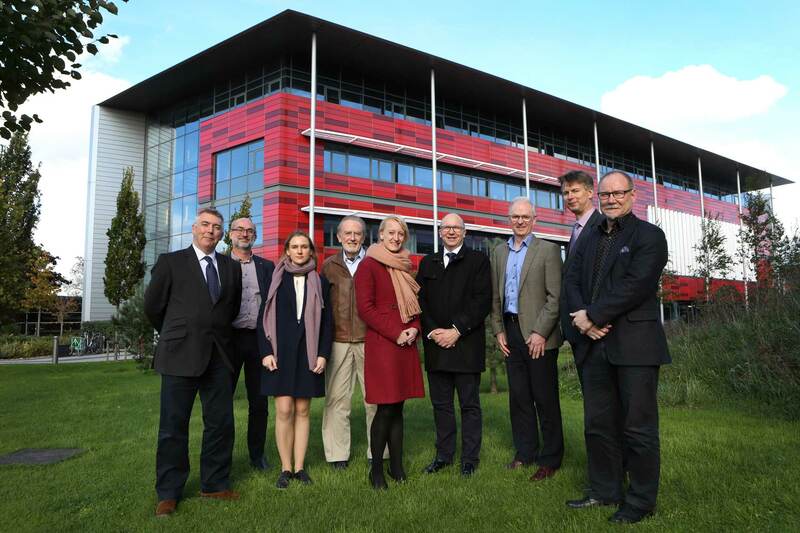 The University of Nottingham has played host to three delegations from member institutions of the European Consortium of Innovative Universities this week. It is the first time the university has hosted colleagues from the consortium since becoming a member earlier this year. The first meeting held on Tuesday 10 October was a visit by the Rector Magnificus of the University of Twente, Professor Thom Palstra, accompanied by six representatives of the Students Union. The group met with academics in Nottingham to discuss topics such as internationalisation, Brexit, research management and the university’s Beacons of Excellence. They also met with their counterparts at Nottingham’s Student Union. A meeting of the Entrepreneurship and Societal Impact of Research (ESIR) group also took place during the week involving some 14 representatives from the member institutions of ECIU. The meeting gave the group the chance to visit Nottingham’s University Park campus and the world-exclusive Dinosaurs of China exhibition currently taking place. Finally the week ended with a meeting of the Vice Rectors of Research on Thursday 12 October. The group had the opportunity to understand more about Nottingham’s research and expertise in Aerospace, discussions on talent management, academic workload and ECIU projects. Professor Nick Miles, Pro-Vice-Chancellor for Global Engagement at the University of Nottingham, said: “We have been delighted to host our international colleagues for this series of meetings, the first significant delegation since we joined ECIU.